Udio App Loot – Now udio is again come back with new latest offer. Now get flat 10% cashback on recharge and utility bill payment of Rs 200 or more. Before it we have been shared may amazing offer of Udio App. 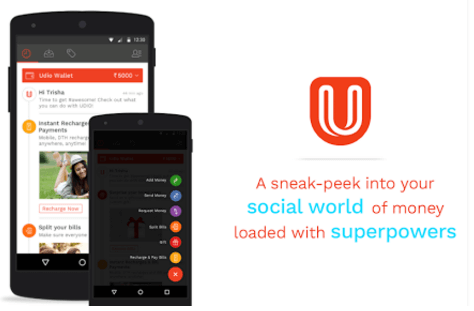 You know that Udio App is before named as Shmart App. But now it is Udio. About Udio App – At udio App you can recharge – Mobile, DTH. Bill Payment – Postpaid, Landline & Data card. you can do many more on Udio app. About Udio App Loot Offer – Here udio is offering 10% cashback maximum Rs 50 on Rs 200 or more transaction. Cashback will be credited when you make recharge or bill payment. 6) Cashback will be credited in your Udio wallet within 3 working days. Tags – Udio Loot Offer, Udio Loot Trick, Free Recharge Tricks, Recharge Tricks, Free Recharge, Udio Wallet Offer, Udio Cashback Offers.